The Bloxwich-born forward had already had a much-travelled career when he arrived at Home Park in 1937. Spotted locally playing for Bloxwich Strollers, Wright was snapped up by Bristol City, although he failed to break into their first team. A move to Rotherham in 1929, however, provided instant dividends as he scored 20 goals in just 40 appearances. This prompted a move to more illustrious neighbours Sheffield Wednesday in 1931, but he made just two appearances before returning to Rotherham in 1932. His second spell was almost as prolific as his first, netting 18 times in 48 games. In 1933 he signed for Liverpool, where he spent three years, scoring 31 goals in 81 games. 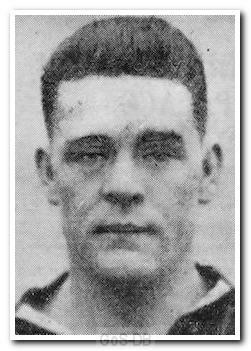 It was from Anfield that he moved to Home Park, starting the 1937-38 campaign as a regular in the forward line before losing his place in the second half of the season. Unable to reclaim it, he moved out of the League to sign for Chelmsford City.